based assay that takes2-3 days. 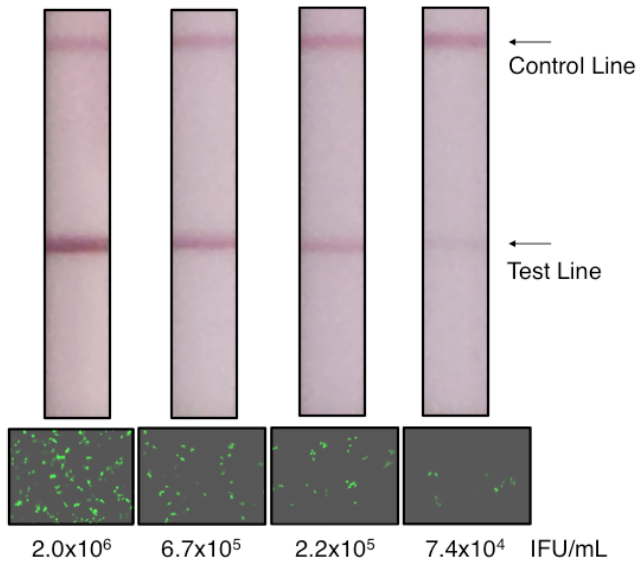 IFU/ml (as measured byflow cytometry of transfected HEK293 cells). known titres. 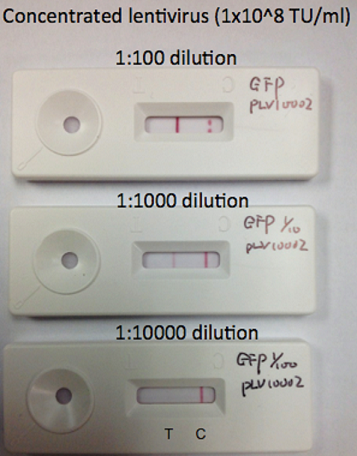 The results showed that the detection limit is at 1 × 105 TU/ml or 1 × 104 TU (in 100 μL). 2) Add 80 ~ 100 μl of packaging supernatant directly to the sample well. 3) Wait for 10 ~ 15 minutes.